Home Geen categorie U2 Start meet up Party in U2 weekend in Amsterdam! U2 Start meet up Party in U2 weekend in Amsterdam! 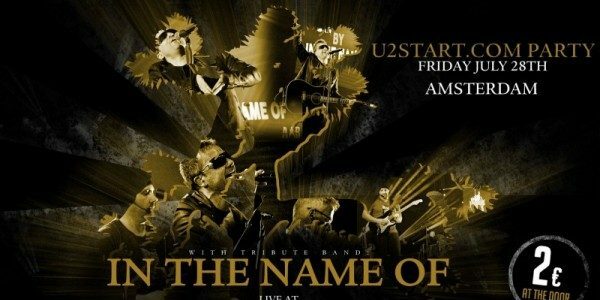 In celebration of U2’s visit of The Joshua Tree 2017 tour to Amsterdam, we will host a live music party and meet-up in the city of Amsterdam on Friday 28 July.U2 tribute band In The Name Of will be performing one of their amazing shows at The Waterhole, a live music bar on the famous Leidse Square in Amsterdam. The doors will open at 8pm, and the band is expected to play at 9pm. Entrance is only 2 euros which you can pay at the door. There is no possibility to buy tickets in advance but there’s plenty of space for a few hundred U2 fans. This is a great opportunity to meet other U2 fans, the U2start crew and to celebrate the great band that U2 is in advance of their weekend residency in Amsterdam. We hope you will join us! Ga hier naar het evenement op Facebook.